Sept. 25, 2017, 9 a.m. The company is a little difficult to describe, but its mission is less so: to help a wide variety of news organizations develop new ideas, be more efficient, and build new ways to stay in business. By Ricardo Bilton @rbilton Sept. 25, 2017, 9 a.m.
Driving the project, explained Tom McGeveran, one of the company’s partners, is a larger desire to help a wide variety of media companies and journalism organizations develop viable business models, improve operational and editorial efficiencies, and recruit talent. And the company is betting that the shared expertise of its founders will give it a unique expertise on the topics: McGeveran and Josh Benson founded Capital New York in 2010 before selling the company to Politico three years later. The pair are joined by Katherine Lehr, former vice president of operations at Politico and the chief operating officer of Medium’s now-defunct spinoff Matter Studios. McGeveran pointed to three of the core strengths that Old Town Media offers to the companies it works with. One, he said, is the founders’ experience recruiting and nurturing journalists, particularly those who are undervalued in the market. Much of the groundwork that Old Town Media does is on this front, helping connect reporters to companies that need talent to staff projects. There’s also their experience in “developing sub-projects that support broader editorial programs,” as McGeveran explained, in addition to, of course, their experience with launching, growing, and successfully exiting their own company. The lack of clarity about the company’s message to the market, as mentioned above, hasn’t impeded its ability to attract companies to work with. Even in its early months, Old Town Media has amassed a small but diverse set of early projects that together offer some insight into the wide variety of work the company says it’s capable of doing. Old Town Media — it’s named for the New York City bar — is also working with Medium and education site Chalkbeat on subscription and expansion projects, respectively, though it it isn’t able to publicly share the specific nature of that work, thanks to confidentiality agreements. Ultimately, while Old Town Media will only be able to work with a small percentage of media companies, it hopes to extend its influence beyond those partners. McGeveran is particularly interested in working with companies that are comfortable being transparent about their projects, even those that don’t work. 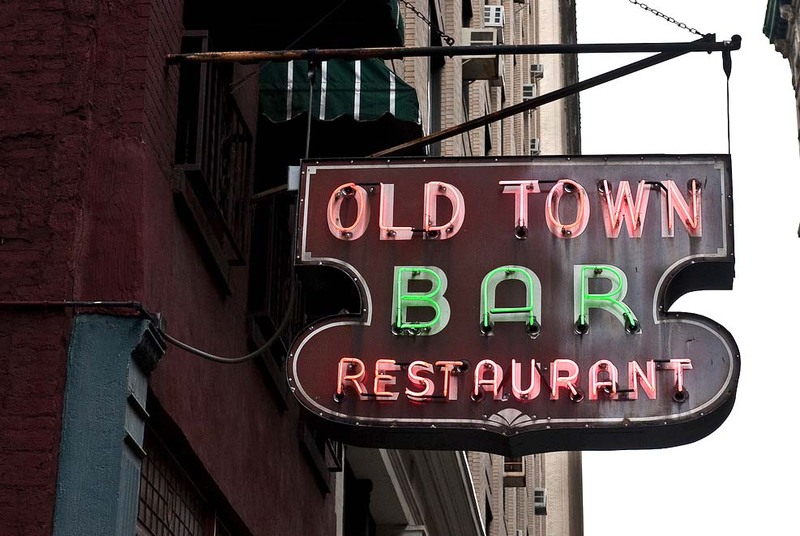 Photo of Old Town Bar by Jazz Guy used under a Creative Commons license. POSTED Sept. 25, 2017, 9 a.m.
Bilton, Ricardo. "With Old Town Media, three former Politico execs want to help publishers figure out the future." Nieman Journalism Lab. Nieman Foundation for Journalism at Harvard, 25 Sep. 2017. Web. 23 Apr. 2019. Bilton, Ricardo. "With Old Town Media, three former Politico execs want to help publishers figure out the future." Nieman Journalism Lab. Last modified September 25, 2017. Accessed April 23, 2019. https://www.niemanlab.org/2017/09/with-old-town-media-three-former-politico-execs-want-to-help-publishers-figure-out-the-future/.